I've been working with colleagues to try and refine a very simple message about #Openbadges . Here is work in progress - it is aimed at a Scottish schools audience but could be used in a range of contexts when introducing the concept of Open Badges - comments welcome ! 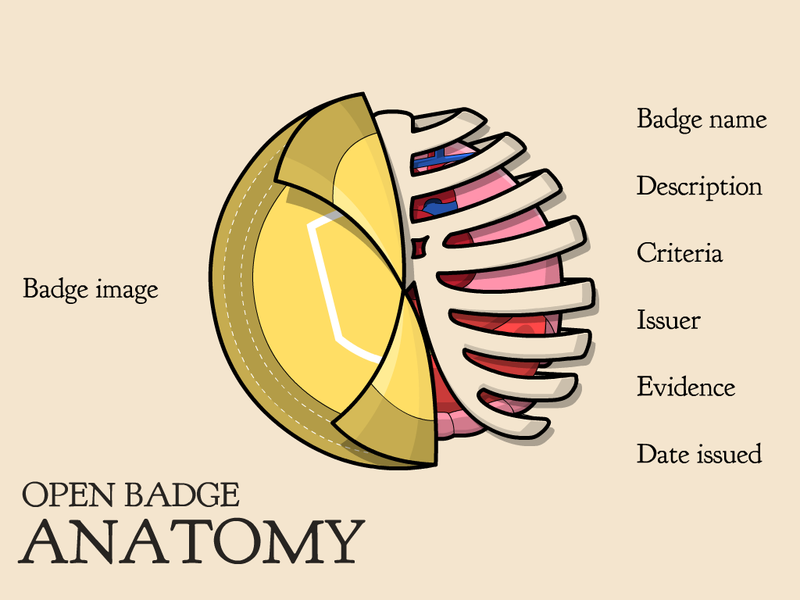 Digital /Open Badges – What Exactly Are They? This is a guide prepared for an audience who may never have heard of Digital / Open badges. Badges are not a new phenomenon in learning. The Girl Guide and Scout Association and many other organisations have used badges to reward achievement or to recognise skills development for many years. To earn a badge the recipient has to meet a certain level of competency or demonstrate a specific attribute. Digital Badges are really just a simple extension of this philosophy into the digital age. Digital badges rather than being physical artefacts handed out and then sewn on to a sleeve are issued digitally and are designed to be displayed on the web. The advantage that a digital badge has over a cloth badge is that a digital badge can contain a lot of additional information (called meta data). This additional information might include details of the organisation and individual who awarded the badge, the specific competencies the learner has demonstrated and even contain links to some of the learners work to illustrate their competence. 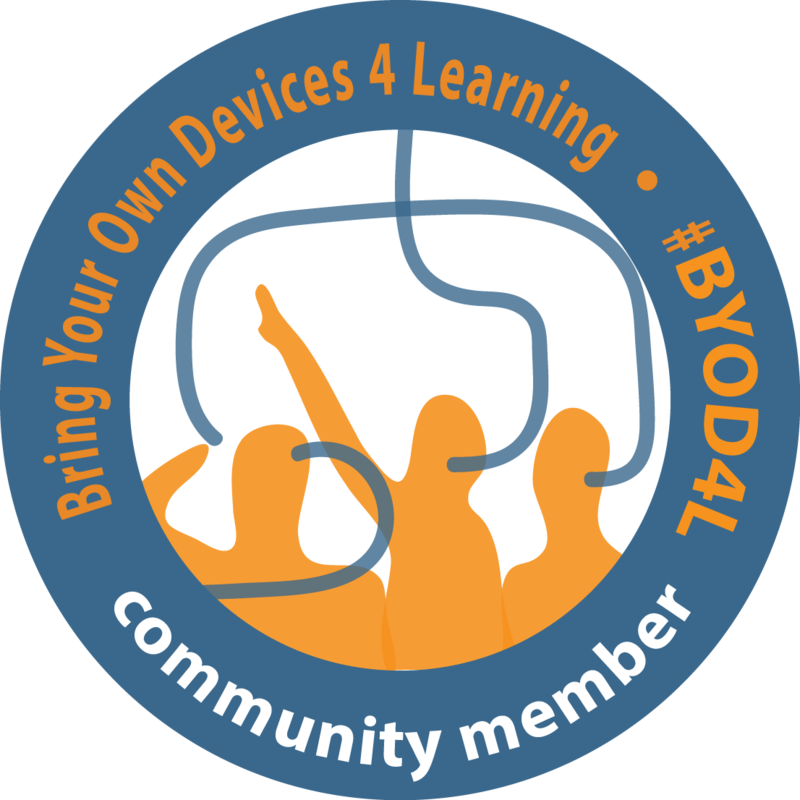 So a digital badge becomes an on-line way for a learner to show evidence of their learning. The badge could be called a data rich digital icon. The open in the heading comes from the technology that has been used to support the creation of digital badges. The Mozilla foundation has created some open source systems that allow any organisation to build, design and issue an open digital badge. There is now an open community established around the initial products and they are developing the software further. The tools to build open digital badges are freely available to any individual or organisation. There are links to some of these in the reference section at the end of this document. The illustration below captures the idea of how metadata can be embedded in a digital open badge. Badges could be suitable for everyone whatever their age or previous accomplishments. Badges can recognise and communicate an individuals ' skills and achievements and display them in online environments – such as social media profiles – in ways that may help with future career and education opportunities. Employers, organisations, schools, colleges and universities could gain a richer picture of an individual’s learning by exploring the meta-data behind a badge. The philosophy of open badges in the recognition of wider achievements could sit well with the principles of the Curriculum for Excellence. In October 2013 the Scottish Qualifications Authority issued some guidance to colleges, community and work-based learning providers encouraging them to consider the adoption of open badges. A number of Colleges and work based learning organisations in Scotland are now issuing and using badges and there are a number of case studies now available. Why think about using Badges? To create a culture of learning and achievement and support innovative ways of recognising learning and achievement. To be recognised as early adopter of new approaches. To use a digital badge a learner needs to have digital place to put these. Not all learnersespecially in Early Years and Primary sectors may have a suitable place to position an open digital badge. The technology is new and is still undergoing ongoing development. In some cases it demands a level of technical skills set be available if you are thinking about designing and building badges or creating a badge issuing system. However, there are a number of organisations who can support you through the process. · Universities are looking at range of models; The Open University in Scotland are currently working in a specific initiative. An excellent summary for those seeking some basic information about Open Badges and their relevance to our current systems of learning and certification. Good to hear too of SQA's ongoing committment to badges as a means of recognising small chunks of learning. I look forward to more information and opportunities to add to my badge collection! Nice introduction. As the stakes for achievement increase so will the value of these credentials. They will become your social currency, especially in the job market. Interested in issuing high-stakes micro-credentials? At Accreditrust, we protect the reputations of all stakeholders, but issuing digitally signed micro-credentials that are tamper-proof and can be verified online.